Streamline your accounts with 6 months free KashFlow Accounting, when you subscribe for 6 months. That’s a saving of upto £108! 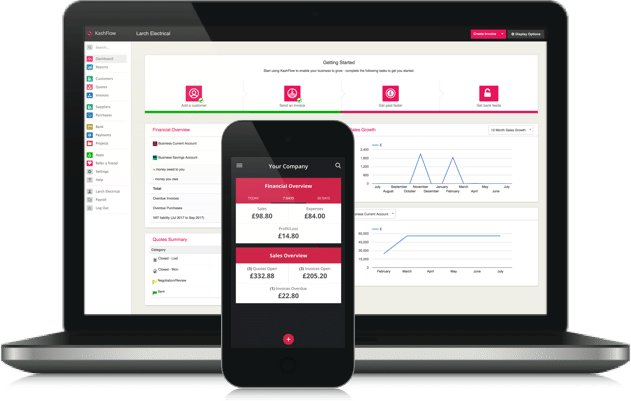 Combine KashFlows integrated invoice software with well known payment processors such as WorldPay and make it easier for customers to pay you. Automated reminders also take the hard work out of chasing unpaid invoices.